How can you heat the winter protection? 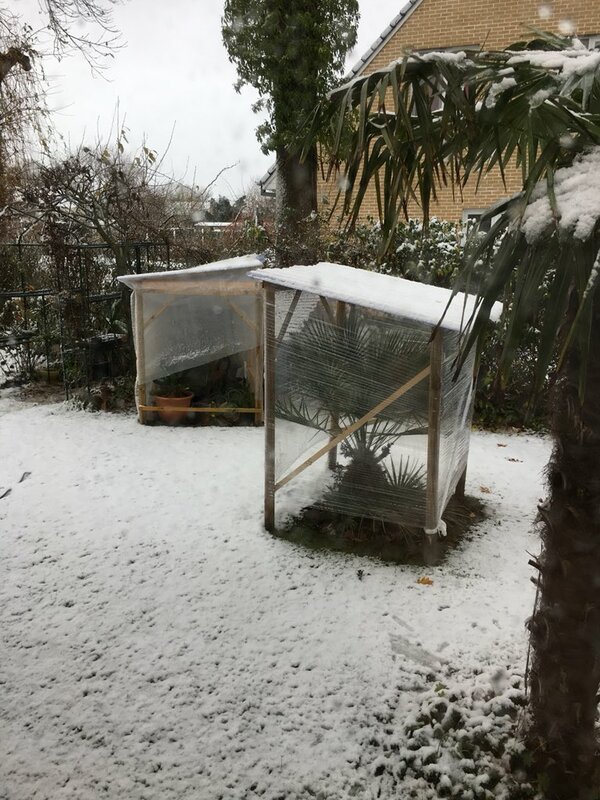 During the coldest winter months, some more sensitive plants need winter protection. For certain species, a shelter alone is sufficient. Other species must be actively protected and therefore a heat source is needed. This article shows the different alternatives! This is the most robust but also the most expensive solution. 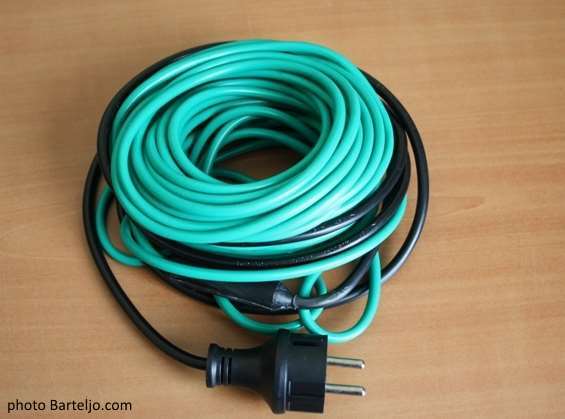 The cable can easily be rotated around the pot or plant but avoid direct contact with the fronds to avoid burning. For a 10 meter cable, you can count around €35, -. This is the solution that we often use ourselves. 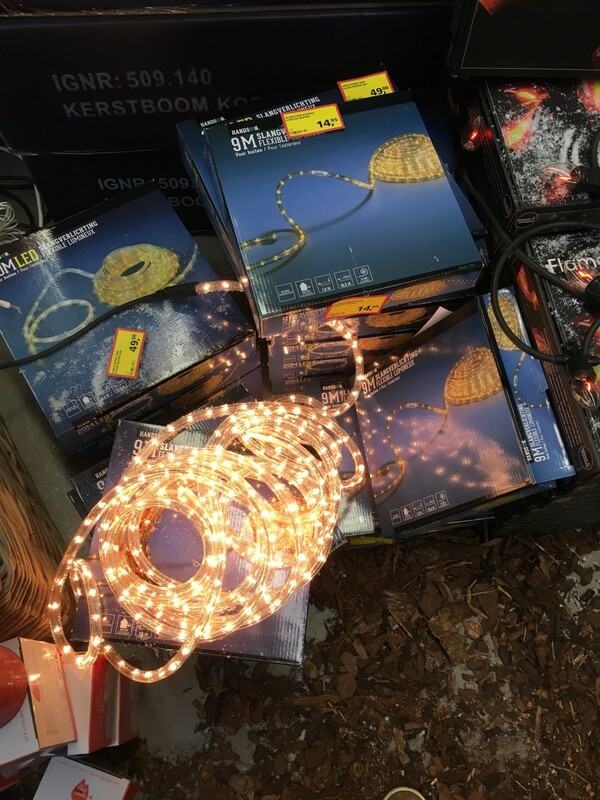 The rope lights are cheap and easy to use. Unfortunately, only the old 220V rope light works as the LED variants do not generate heat. The old rope lights are now very difficult to find. 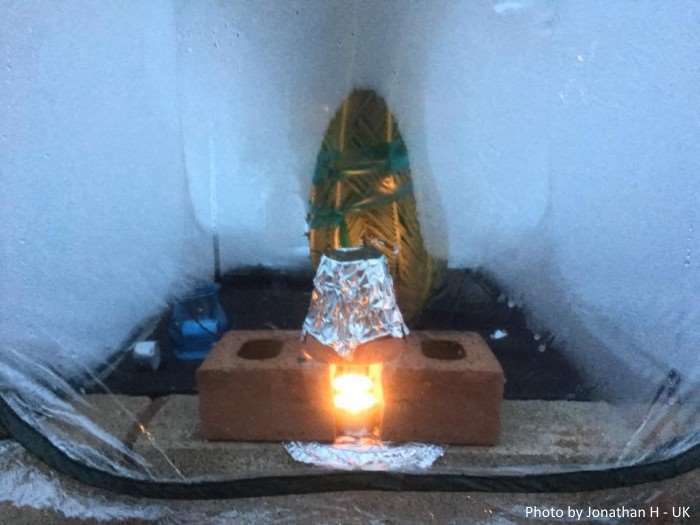 Calculate for a 9M rope light about €10-€15, – In a shelter covered with plastic foil and a layer of bubble wrap we gained up to 7°C with this method. It is advised to let the rope light warm before manipulating it to to expand its lifespan. 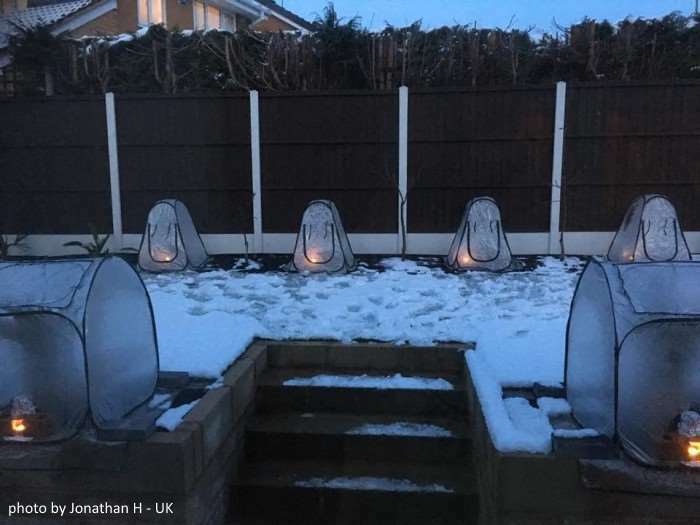 A striking but very effective way of heating is the use of a tea light. Place a tea light of sufficient capacity (e. g. 10 hours burn time) between two bricks. Put an inverted terra cotta pot on top and cover the outside with aluminium foil. The heat accumulates in the pot, making it an enormous heat source. In the simple tents shown here, without further insulation, up to 8°C is gained! - lifetime of a candle is limited and therefore this isn’t ideal when absent. Of course, you can also work with heat lamps or even electric heaters. Because those methods are somewhat more obvious, they have not been discussed further. In any case, always pay attention to safety, as it can become fairly moist in the shelters. The use of a thermostat is also convenient so that the heat source switches on and off automatically when necessary.